Loved working with Glass Maxx! Great customer service and the new glass shower looks perfect! From talking with Bob for scheduling and pricing, to the detailed instructions once Billy finished the job- Everything exceeded my expectations. Thanks so much. Customer service was wonderful. All calls were responded to promptly and the frameless shower enclosure came in sooner than expected. It was installed promptly and looks great. Price was better than other places called. Extremely satisfied would recommend to anyone. We renovated our shower/bathroom and Glass Maxx put the finishing touches on it with a beautiful door. The process from A-Z was smooth and professional. Quality service, quality product. Bob was a wonderful customer focused gentlemen to work with. Very flexible and even came out on a Saturday giving us a very reasonable price. The installation was excellent and you can tell they stand behind their product 100%. Will recommend to all and have them come back in 3 months to do some additional work! Great experience! Shower glass looks amazing. Bob and his crew were professional, punctual and delivered exactly as promised. We love the end result. Thank you. Thanks for the exceptional experience from start to finish. Your installers were 1st class and very professional and a positive reflection on you as an owner. I shopped three different glass companies and you provided not only the best quote, but the best response and follow up time hands down. As a bi-product of a family business, you should be proud to know that Glass Max is superior from the competition. Outstanding Service! Very professional! Top quality materials and the best value for the money compared to other companies! My shower and my kid's bathtub enclosures looks great! Absolutely pleased we decided to work with GlassMaxx on our new glass shower doors. After reaching out to 6-8 glass companies in the Tampa Bay area, through a Google search Bob at Glass Maxx was by far, the most responsive, cheapest, and attentive to every request. Highly recommend working with him and his team at GlassMaxx! Upmost professionalism and exceptional customer service. Keep up the great work, it doesn't go unnoticed! Outstanding sales in guiding the best application for the job, awesome installers on time, neat, clean and most important very professional, I couldn't be happier with my frame-less glass shower, Nice job!! Outstanding experience from start to finish. Received estimate from online form very quickly, I called a couple days later and scheduled an in-home appointment...again, fast response...Bob brought the shower door sample including mounting hardware and handle options. We placed the order on the spot, and 9 business days later received the call the shower door was ready! The installers arrived on time, were friendly and did an excellent job on the installation. Great attention to detail...alignment is perfect! I have been very happy with the professional service given and timely results. From giving an estimate, to the final product has been a pleasure. I am impressed with the prompt and professional service. I had called several "friend referred" window professionals with no results. 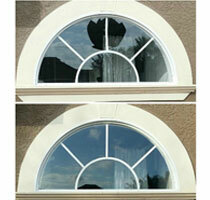 One call to Bob and GlassMaxx had the window repaired within hours. I am completely satisfied and will no doubt use GlassMaxx as our "go to" window company and will be recommending them in the future. Bob was a pleasure to work with. They did an amazing job on the mirrors and frames, exceeded expectations and great service - all at reasonable price. I am a realtor and whenever we need windows repaired or glass replaced-Bob Langer is the best-professional- timely and Great work. Just wanted to let you know that you and your team did a great job! We are very happy with our new shower enclosure! We will definitely recommend you to friends and neighbors! Bob was very professional when he came out to give us a quote. When the service guys came out, they knew what they were doing. They went right to work,and in no time the glass shower encloser was done. The clean up was excellent. Thank you again for a job well done. I would recommend them. AMAZING quality product and customer service. Bob Langer and the Glass Maxx team were extremely professional and provided a quality product at a great price. Install team arrived as scheduled and did an OUTSTANDING job with the install. Professional, courteous and clean. Shower enclosure looks like a European spa. FIVE-STAR. As part of a home remodeling project, GLASSMAXX installed two MAGNIFICENT seamless, brushed nickel SHOWER GLASS DOORS. 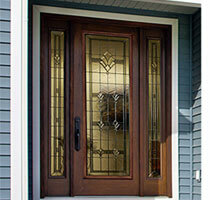 Their professional service with the high quality of GLASS DOORS exceeded our expectations. We highly endorse GLASSMAXX by giving it our A++++++ Rating. New customers will NOT be disappointed!!!! The installers were on time and got to work quickly. They finished the shower install in two hours and cleaned up after they finished. They took the time to explain to me how to take care of the shower. Excellent company, I will use them again in the future. I made a phone call and they understood my problem. He said that he could probably work me in same day, and quoted me over the phone. I ended up getting stuck away from home when he called to perform the service. He said he could probably repair the pane from the exterior of the house, and told me don’t worry about trying to get home for his visit. I arrived home an hour later to find the glass pane was fixed, looked perfect, no harm done to my flower beds, and all glass was cleaned up and removed. We caught up with each other via phone later and I paid with my credit card. Within an hour, I had a receipt emailed to me. This was one of the easiest contractor transactions I’ve had, and I would gladly use them again. Wow! It is just beauuuuuuuutiful! (shower enclosure & mirrors) I am anxious for my husband to see it! It really made a big difference in the room. Sometime after the holiday I will contact you regarding some door quotes. Having the privacy shades in the glass would be nice. For now I need a break from construction .... Thank you again, it really looks great! 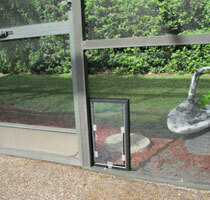 Thanks again for your work with our shower enclosure. It looks great! Thanks a lot for your excellent customer service and speedy service. I am amazed by the quick response I received when I inquired about pricing/estimates, as well as the prompt delivery and installation of the materials... Excellent quality and excellent service!" I thought Bob and his team did an excellent job with our window glass replacement. The estimate was done in a timely fashion. The work was completed with both high quality and excellent clean up. The installers were excellent as well. Thank you once again for the beautiful shower you guys put together and the hard work to install it. You guys did an amazing job! This has to be some of the best service I've come across in a long time! Not only are their rates extremely reasonable, but their professionalism and reliability are top notch. They were out to me the same day and came in, went to work, and had the job done in less than 2 hours. I called around to other places that wanted to charge a trip charge to come and look at it, then cut it in their shop and then come back the next day, and they were 4 times as much!!! I will definitely use Glass Maxx again and recommend to all of my friends and neighbors. I am so glad I found a company like yours that I can trust and rely on to do a great job! Thank you for coming to our rescue and keep up the amazing work! Highly recommend this company! Bob, the owner, was polite, prompt, and personable. He not only was knowledgeable in his business, but also gave a very fair price up front. There was no need to negotiate. His assistant was also respectful of my home and family. They took their shoes off before coming inside our home and were on time. It's those little things that set them apart from other companies. If you are looking for a glass job, definitely use them. I highly recommend Glass Maxx. When I called Bob answered the phone and gave me an immediate quote. However he said before we order I want to come out and measure so it becomes my problem not yours!!! When I asked him when he could come he said " how about this afternoon"? I couldn't believe it. He showed up on time, was as pleasant as could be and told me my mirror would be in a week. Well here it is one week later and my mirror is in and installed. I couldn't have asked for better customer service. If you need anything that his company provides... USE GLASS MAXX!!!! They are awesome.